Head & Shoulders, a shampoo brand known for “keeping your head cool”, introduces another cool marketing campaign. 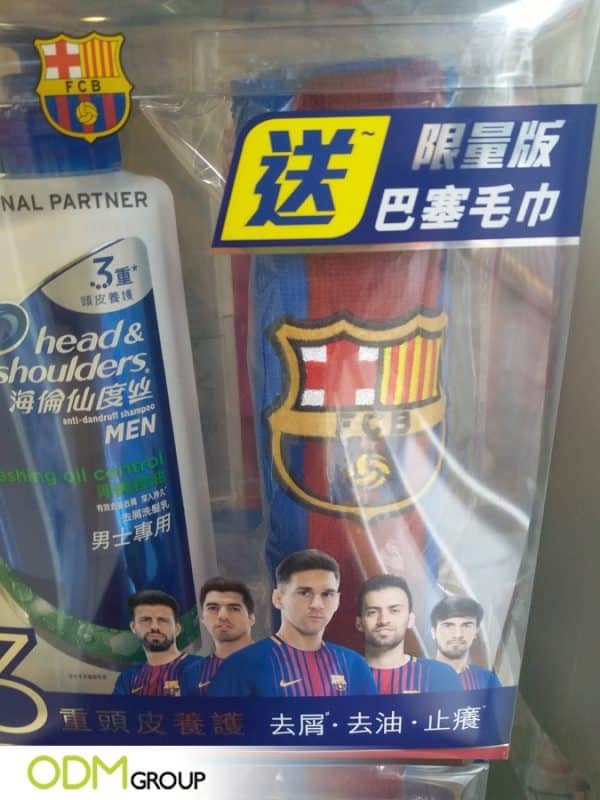 They’ve partnered with FC Barcelona to produce their own promotional football towels. 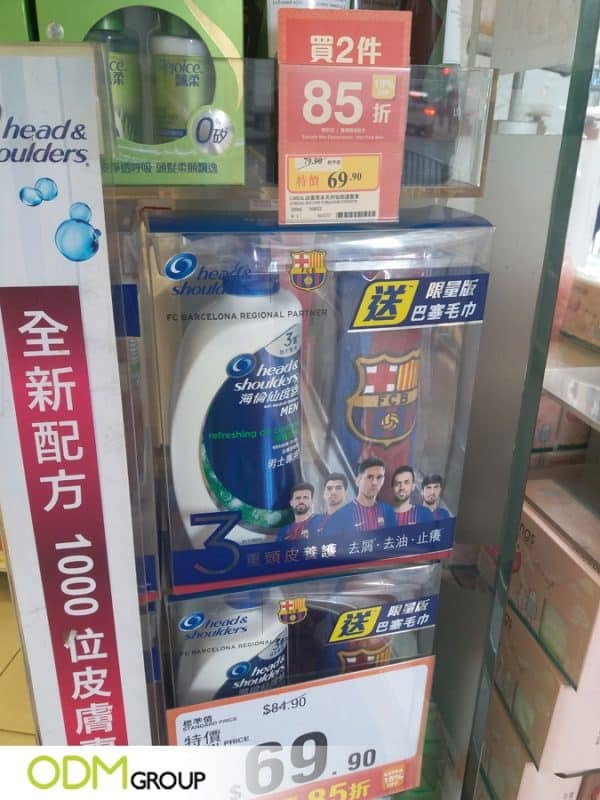 This promotional campaign in China targets fans of the sports team. Why do we love these Promotional Football Towels from Head & Shoulders? Gift – Ready – Living in a fast-paced world, people want everything in an instant. That is why customers love products that are hassle-free and gift-ready. Shower your guy friends with this instant gift from Head & Shoulders and they’ll surely appreciate you for doing so. Premium Promotional Item – Who wouldn’t love free merchandise from FC Barcelona? Anyone would be motivated to pay to get these items! Luckily, Head & Shoulders is giving away these promotional football towels for free. If this isn’t a great deal, I don’t know what is. Just imagine all the responses this marketing campaign will receive. Benefits Two Brands – Both are well-known brands, and each has their own set of loyal followers. As a result of their partnership, both brands get to enjoy a broader market. How can we further improve this promotion? Also, if you want to see a promotional towel campaign utilising a good POS display, feel free to check out how the marketing guys from Kitkat perfected both marketing strategies. Overall, it is necessary to work with people who know how marketing works. Here at ODM, we can help you with your marketing campaigns since we are experts in designing and manufacturing high-quality marketing gifts. If these promotional football towels interest you, please contact us immediately. Our team will be assisting you as soon as possible. Brands could make use of the silicone phone cases’ customisability by incorporating their own theme to these cases. This custom sand timer’s distinctive design is definitely out of the box- in terms of brand positioning and customization. Finally, why not try our Logo Reflective bags that are fully customisable to fit your brands message. Customers stand out at night when walking and this pedestrian safety is the best gift you can give.